We will explore trends in the management of 2 of the most common spondyloarthropathies: psoriatic arthritis and ankylosing spondylitis. With the recent availability of new biologics and additional therapies on the horizon, this issue will examine how biologics and small molecule therapies are shaping the treatment of these disorders. 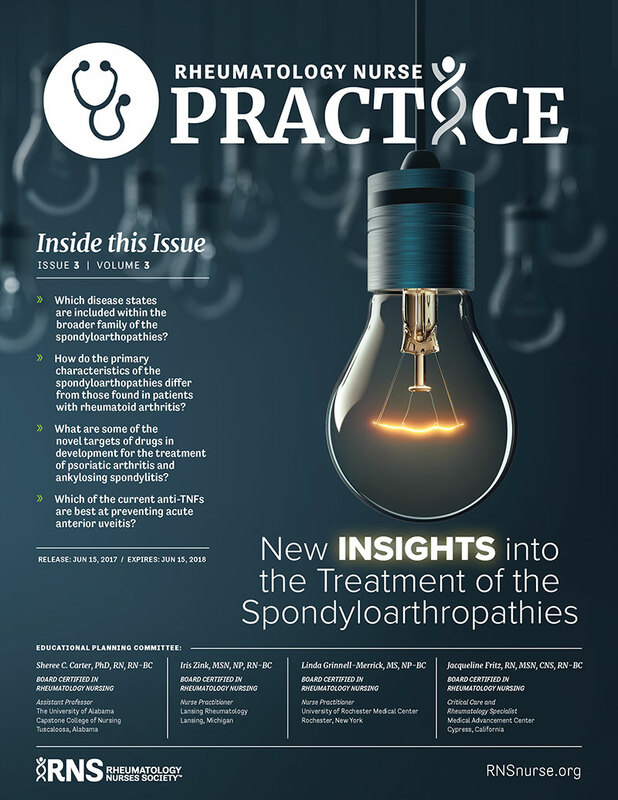 In this issue of Rheumatology Nurse Practice, we will explore trends in the management of 2 of the most common spondyloarthropathies: psoriatic arthritis and ankylosing spondylitis. With the recent availability of new biologics and additional therapies on the horizon, this issue will examine how biologics and small molecule therapies are shaping the treatment of these disorders. Sheree Carter, PhD, RN, RN-BC, No relevant financial relationships with any commercial interests. Jacqueline Fritz, RN, MSN, CNS, RN-BC, has disclosed the following relevant financial relationships specific to the subject matter of the content included in this educational activity: Lilly, AbbVie, Celgene, Horizon, Momenta Pharmaceuticals/A; Celgene, AbbVie, Genentech, Horizon/SB. Linda Grinnell-Merrick, MS, NP-BC, has disclosed the following relevant financial relationships specific to the subject matter of the content included in this educational activity: Pfizer, GlaxoSmithKline, Horizon/A; Janssen/C, SB; AbbVie, Celgene/SB. Iris Zink, MSN, NP, RN-BC, has disclosed the following relevant financial relationships specific to the subject matter of the content included in this educational activity: AbbVie, Pfizer, Crescendo/A,SB; Celgene, Sanofi/A; Antares/C; Bristol Myers-Squibb/SB. Carrie Beach, RN, BSN, Rheumatology Nurse, Columbus (OH) Arthritis Center has disclosed the following relationships: Pfizer, Horizon and Novartis/A. John JD Juchniewicz, MCIS, CHCP, and Natalie Kirkwood, RN, BSN, JD, Lead Nurse Planner, American Academy of CME: No relevant financial relationships with any commercial interests. This activity will review off-label or investigational information of the following: Abatacept, tofacitinib, ixekizumab, brodalumab, bimekizumab, guselkumab, risankizumab, apremilast. American Academy of CME, Inc., designates this educational activity for 1.25 contact hours. © 2017. This CNE-certified activity is held as copyrighted © by American Academy of CME and Rheumatology Nurses Society. Through this notice, the Academy and Rheumatology Nurses Society grant permission of its use for educational purposes only. 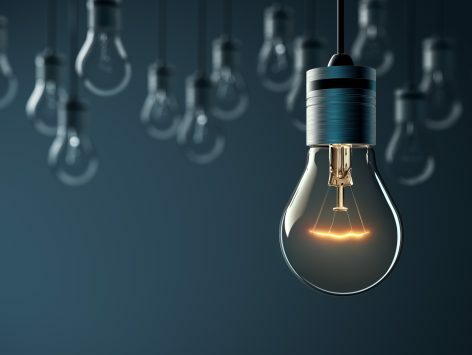 These materials may not be used, in whole or in part, for any commercial purposes without prior permission in writing from the copyright owner(s).